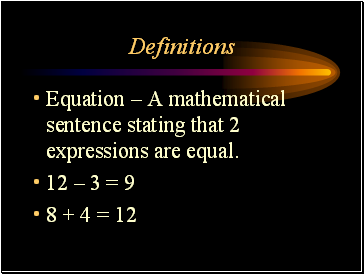 Equation – A mathematical sentence stating that 2 expressions are equal. 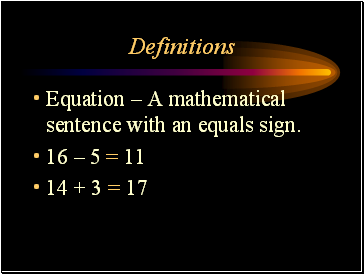 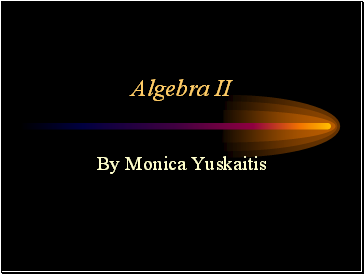 Equation – A mathematical sentence with an equals sign. 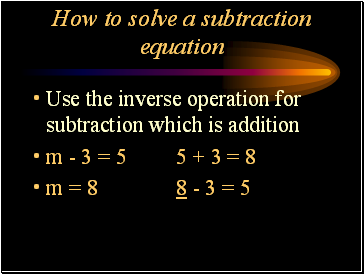 Equals Sign (=) Means that the amount is the same on both sides. 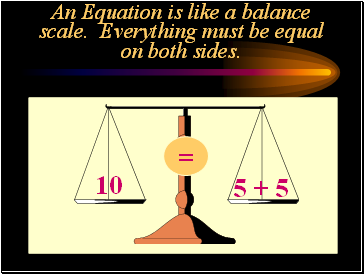 An Equation is like a balance scale. 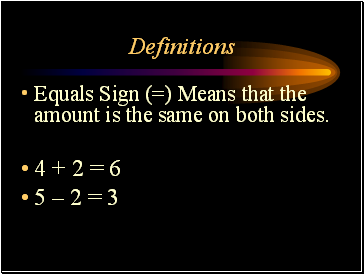 Everything must be equal on both sides. When the amounts are equal on both sides it is a true equation. When the amounts are unequal on both sides it is a false equation. When an amount is unknown on one side of the equation it is an open equation. When you find a number for n you change the open equation to a true equation. 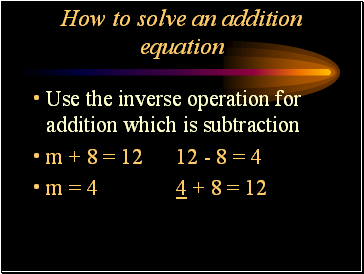 You solve the equation. 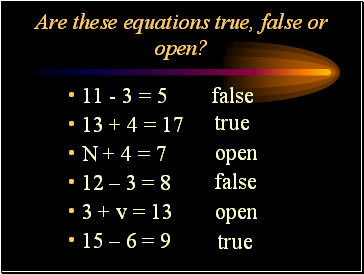 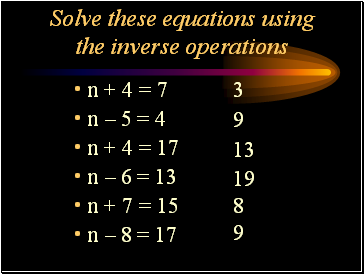 Are these equations true, false or open? 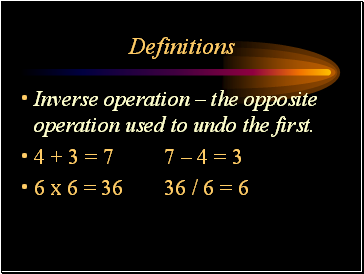 Inverse operation – the opposite operation used to undo the first.